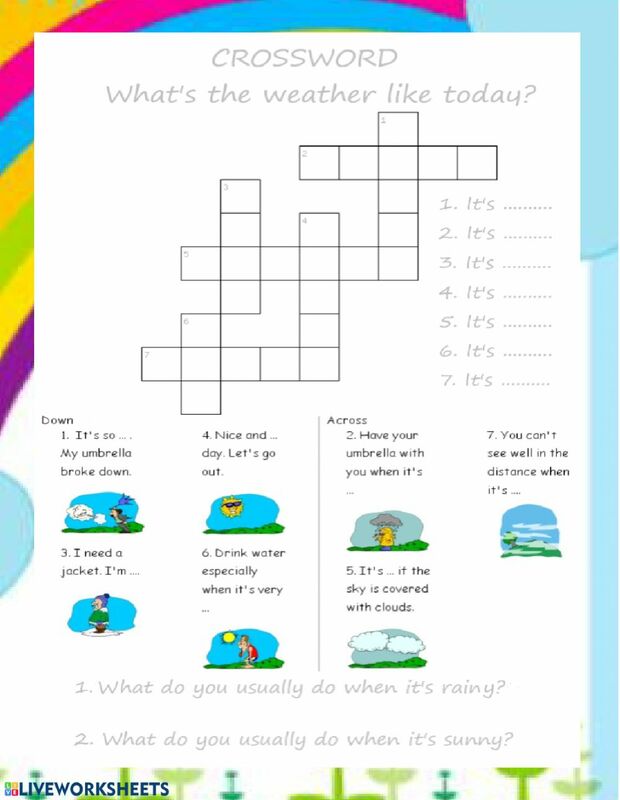 Live worksheets > English > English as a Second Language (ESL) > The weather > What's the weather like today? Crossword and questions. For more advanced elementary students I will use questions like: What can you do in your town when it's sunny/ raining/ windy? Copyright 4/9/2019 Anica Petkoska. Publication or redistribution of any part of this document is forbidden without authorization of the copyright owner.